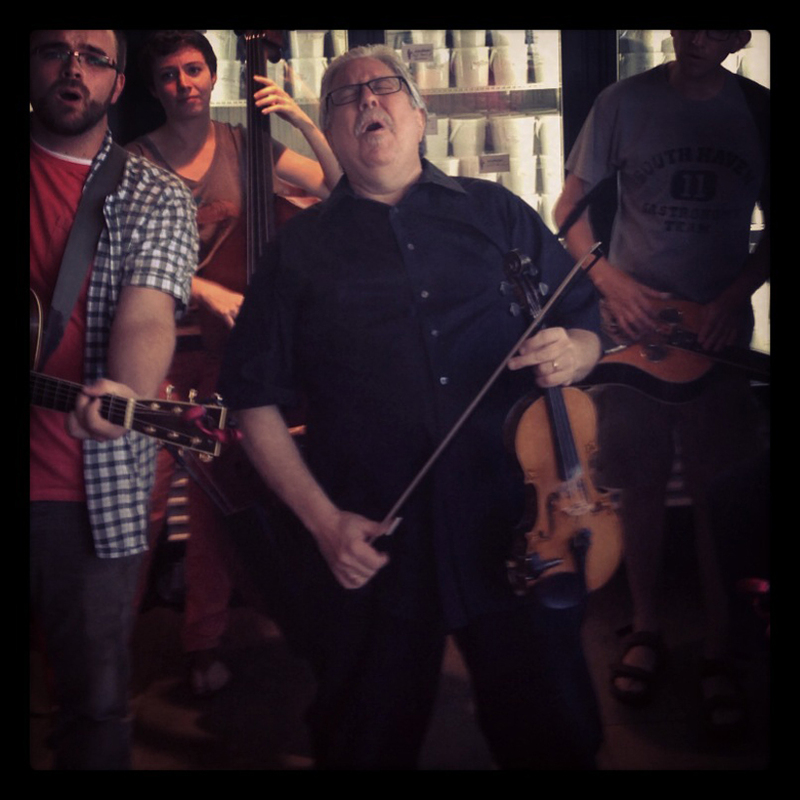 From his days with the Laketown Buskers in the ’80s, through his years behind the mic of Radio Gumbo in the ’90s, to his current weekly appearances leading the Bagels and Bluegrass jam at Kaufman’s deli, Stuart Rosenberg has been a fixture on the Chicago folk scene. Stuart’s talents range from blues and swing to bluegrass and Klezmer. You can hear a sample at his MySpace page. Make sure you work on the two tunes posted below, and come to Fiddle Club next weekend when Stuart will hold forth with great stories and inspired tunes. As always, we’ll form the chairs into a circle and play some tunes together. Golden Slippers Stuart learned this distinctive version of an American standard from working with Gatemouth Brown. 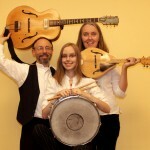 A world music trio from Evanston, they will play a short concert to start things off. Then we’ll work through a couple of tunes (see the link below), and maybe even do a simple circle dance or two. All fiddlers, musicians, listeners and dancers invited. The tunes: click here for recordings and actual notes! 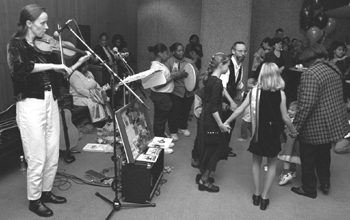 Jutta Distler plays for folk dancers. Terran Doeher leads the dance. To register, follow this link, type ‘fiddle club’ in class name box. $15 for this meeting. $60 for a year long subscription. A bit of world music. Maybe a little Klezmer. Maybe a touch of Danish. They are Terran Doehrer, Zoï Doehrer and Jutta Distler. 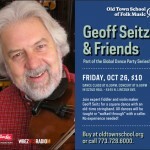 October 26, part of the Old Town School’s Global Dance Party. Great music by Geoff Seitz & Friends,** calling by Paul Collins. The dancing starts at 8:30. All dances will be taught throughout the evening. No experience necessary. Fun will be had. *You can register for Fiddle Club of the World meetings at www.oldtownschool.org and search the class catalog for Fiddle Club. That brings up two choices: 1) a single meeting registration for $15, or 2) a year’s subscription to all Fiddle Club events for $60. ** Jim Nelson, Dedo Norris and Steve Rosen.